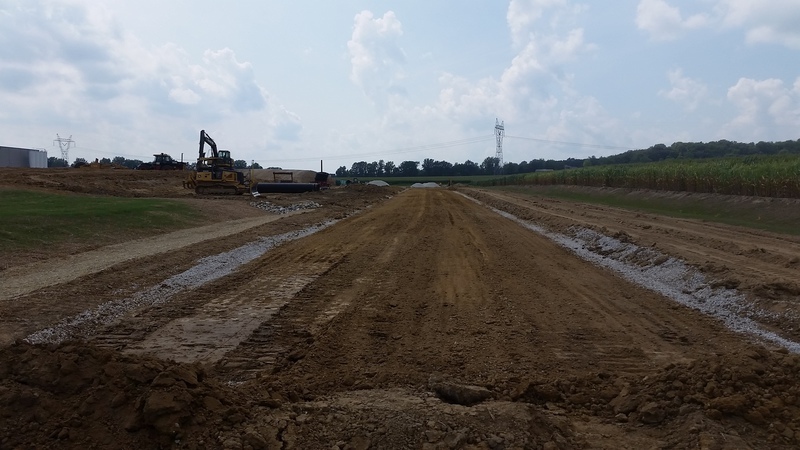 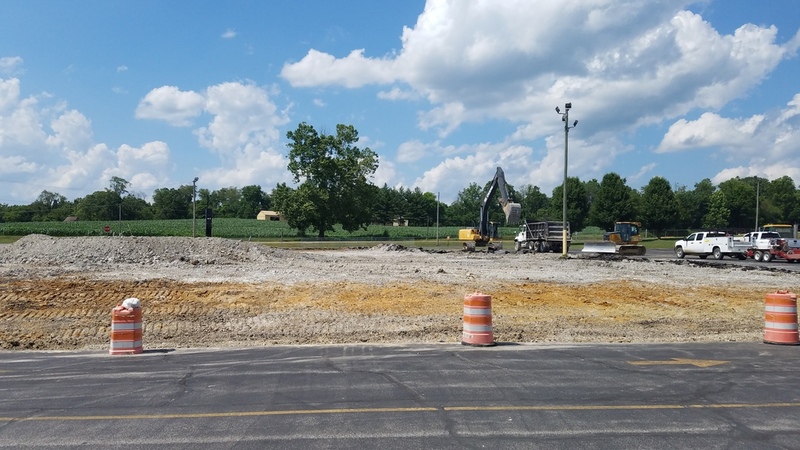 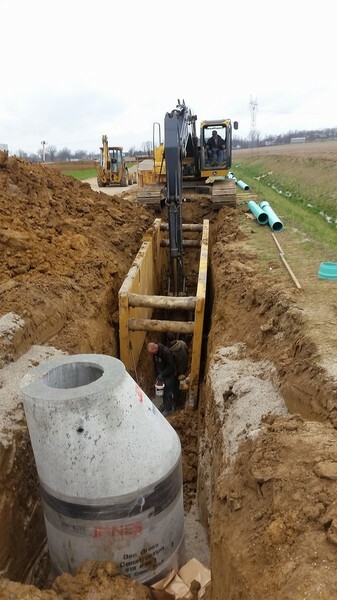 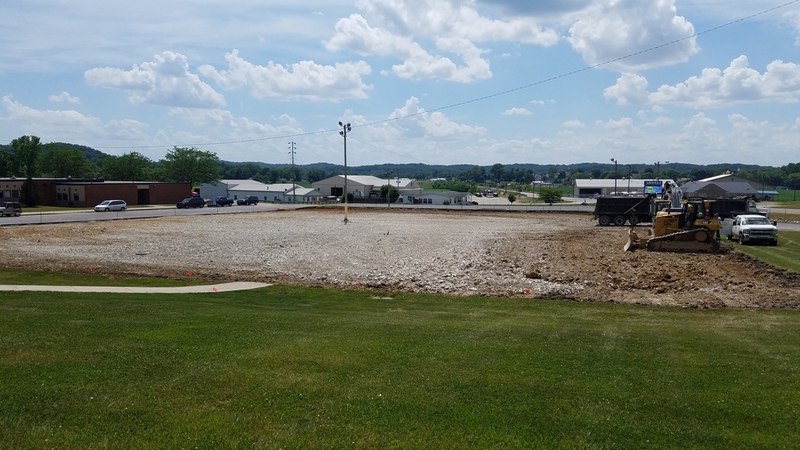 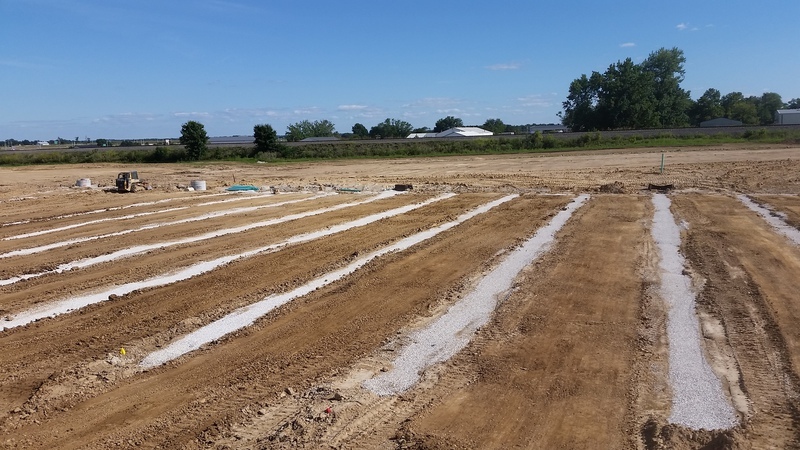 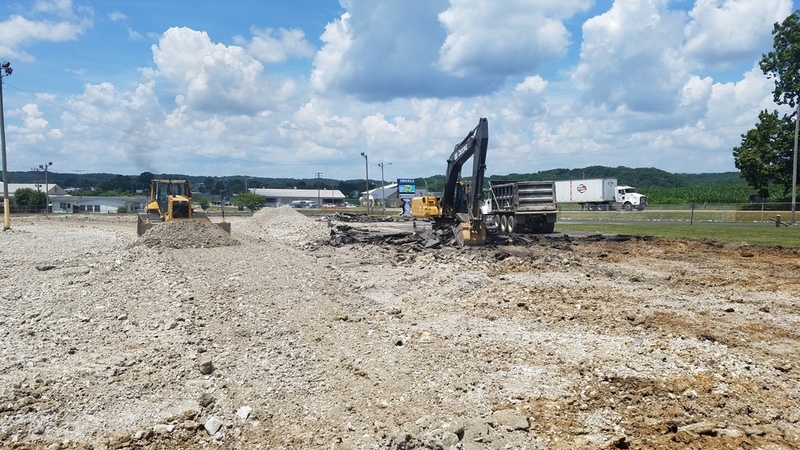 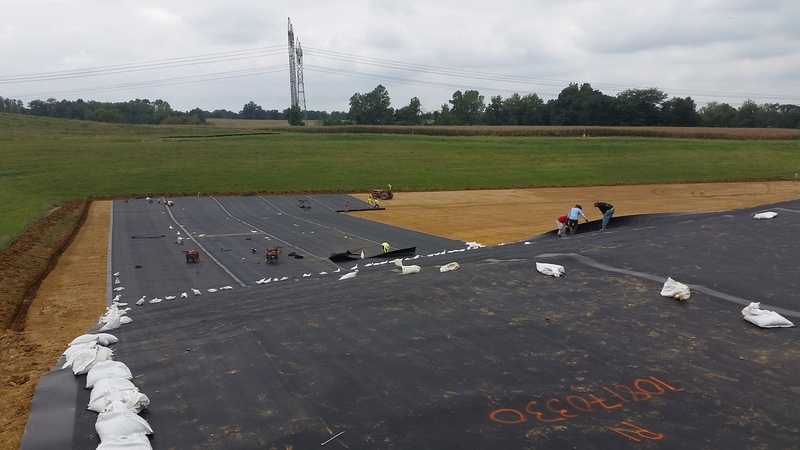 Don Gress Const., Inc. recently completed a sanitary sewer extension project to service recent commercial development on the East side of Washington, IN. 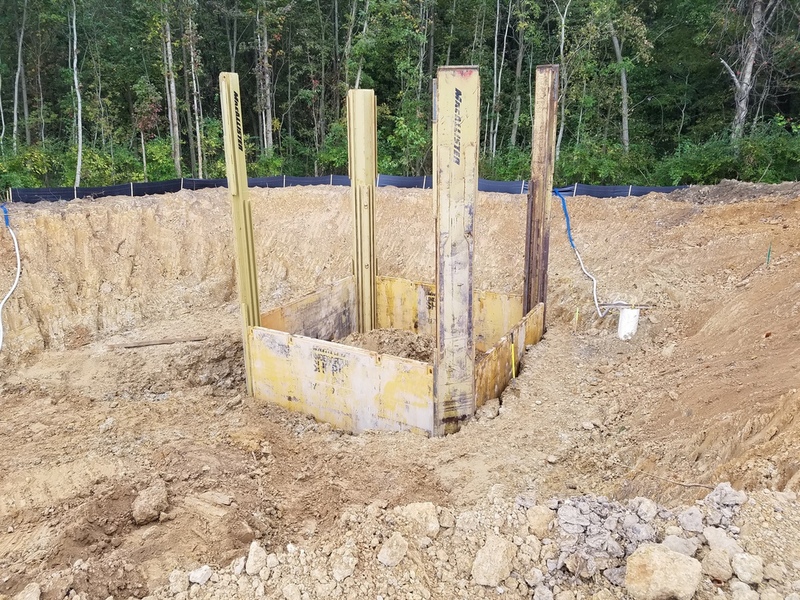 The project consisted of 18", 15", and 10" gravity sewer, 6" force main, new 8' diameter lift station, and renovation to existing liftstation. 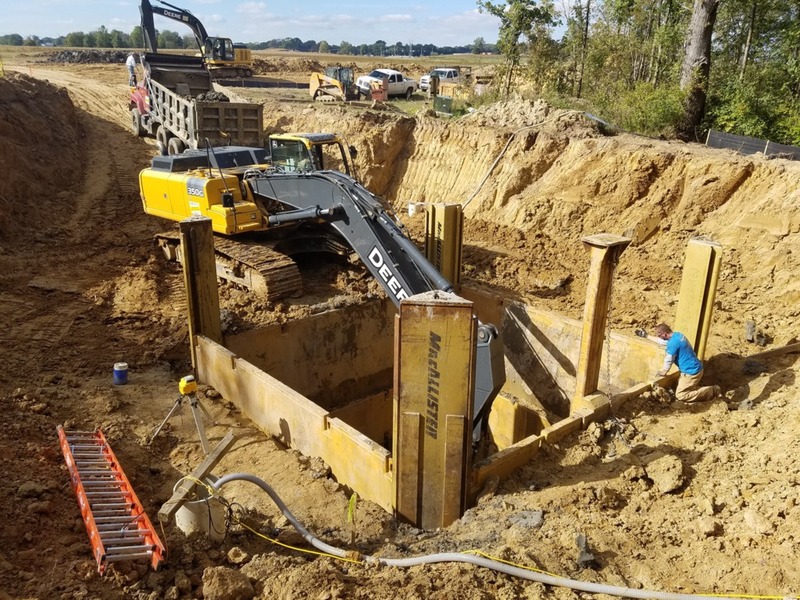 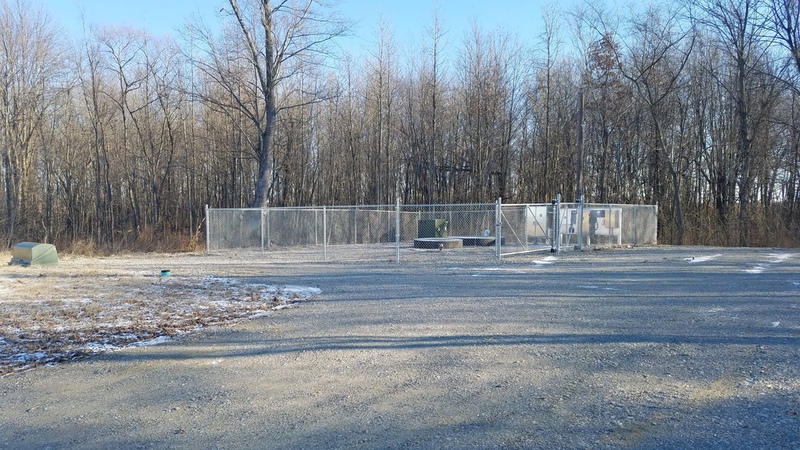 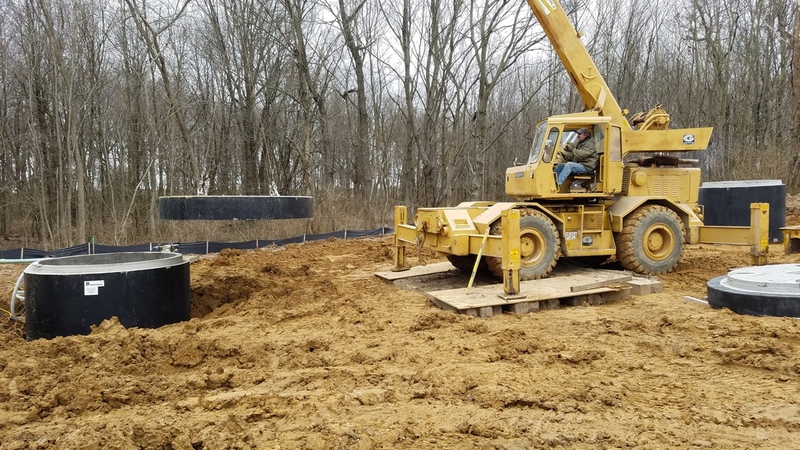 The team at DGCI was able to overcome groundwater and poor soil conditions and succesfully and safely install the sewer in many places greater than 15' deep and the lift station at 30' deep. 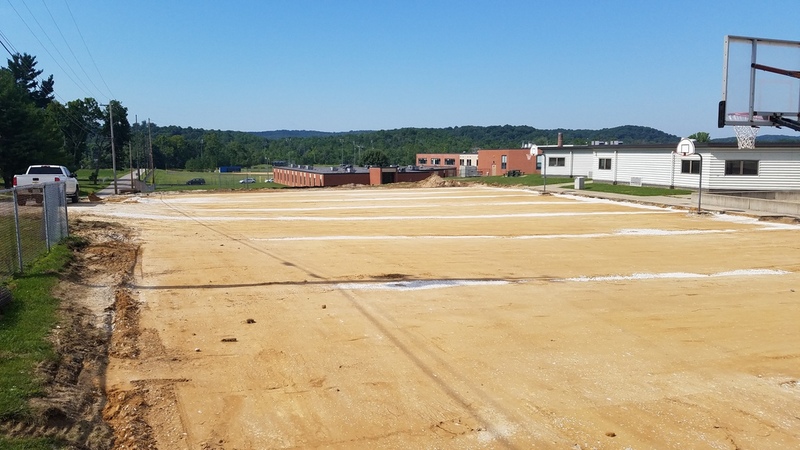 Don Gress Construction was the succesful low bidder on a Midwest Engineers project at the Shoals High school and Middle school. 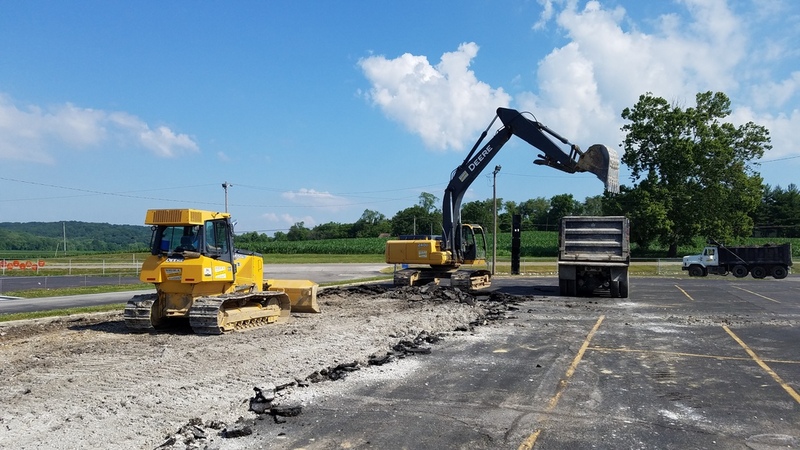 The project consisted of removal off existing pavements, new underdrain networks, grading, new stone base, and new pavements and sidewalks. 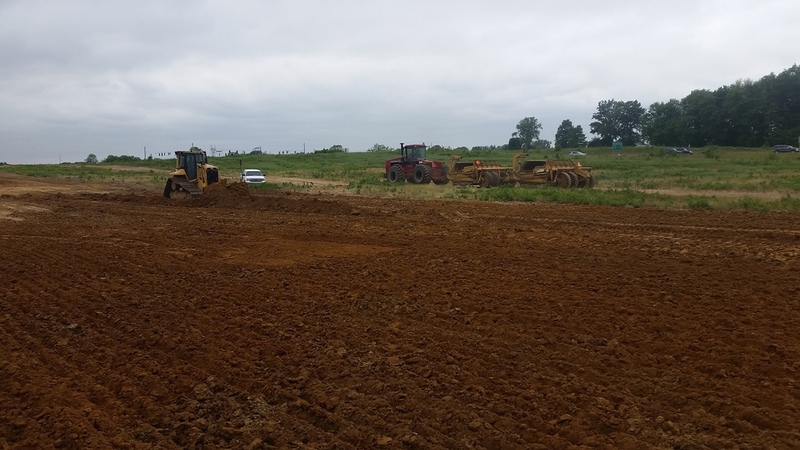 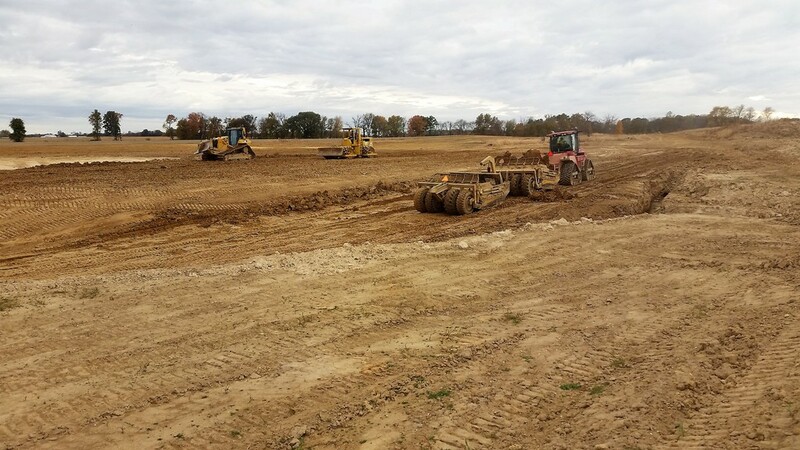 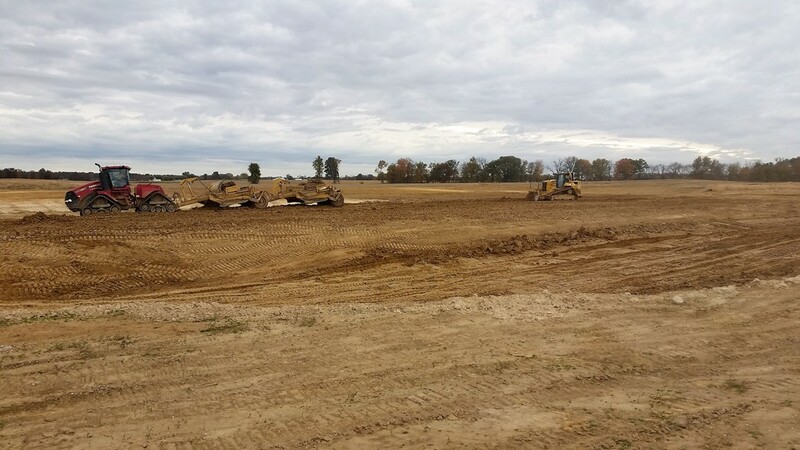 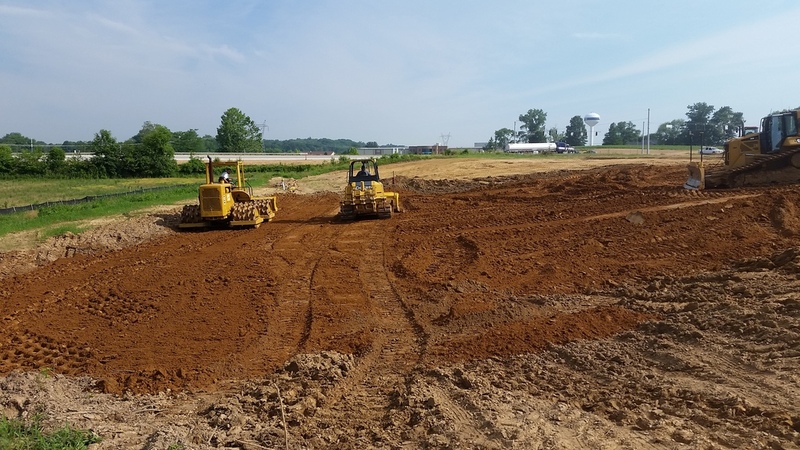 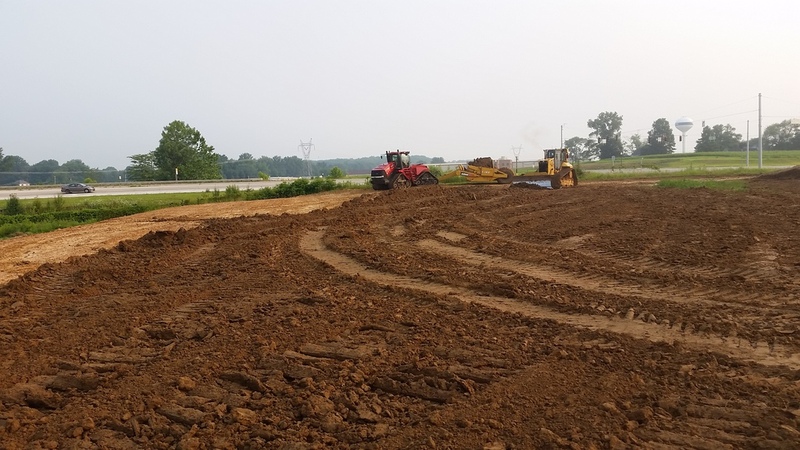 Don Gress Construction was the successfull bidder on the sitework for a new warehouse/manufacturing facility located in daviess county. 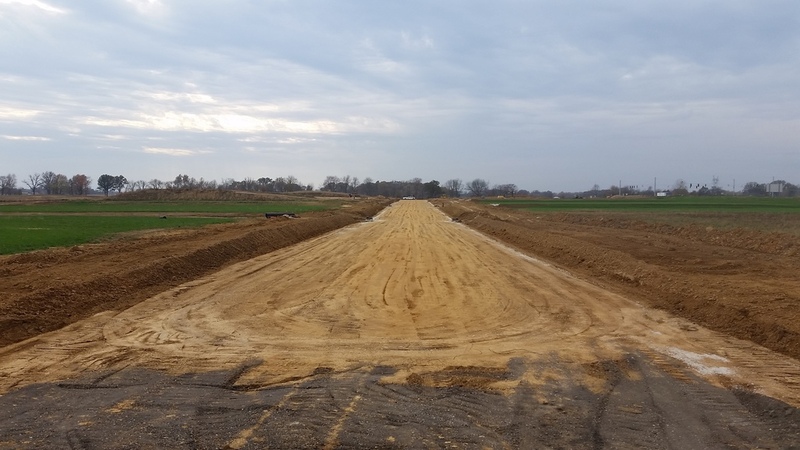 In addition to the 40,000sf warehouse, new rail siddings, entrance road, parking lot, and retention pond were constructed. 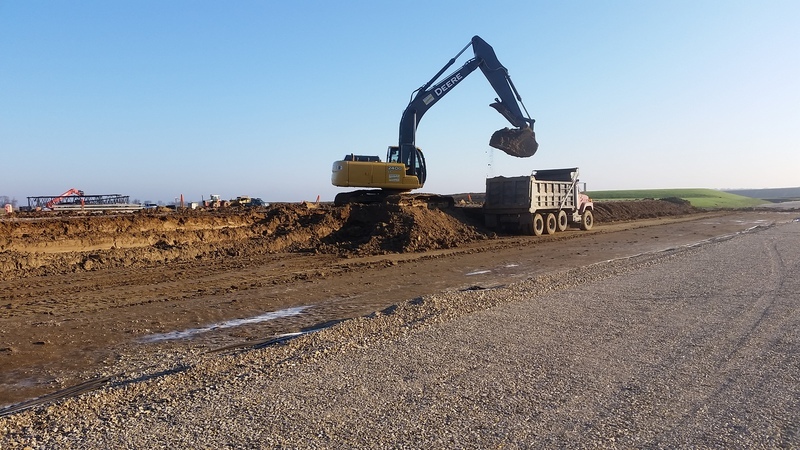 DGCI will be performing all grading for these items along with site utilities including storm sewer, sanitary sewer, and watermain. 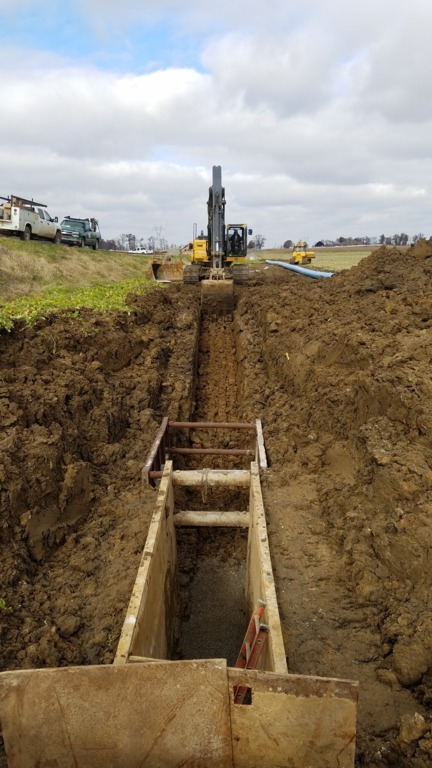 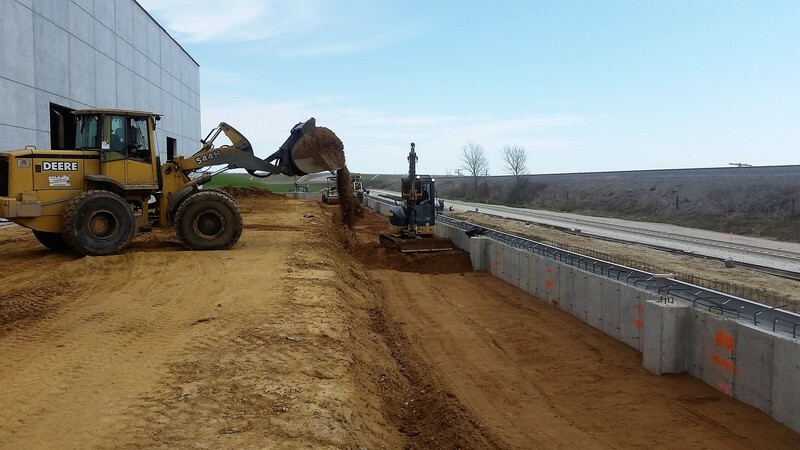 In addition to the onsite utilites, DGCI worked with a subcontractor to jack and bore casings under the existing railway embankment for watermain installation and other utlities. 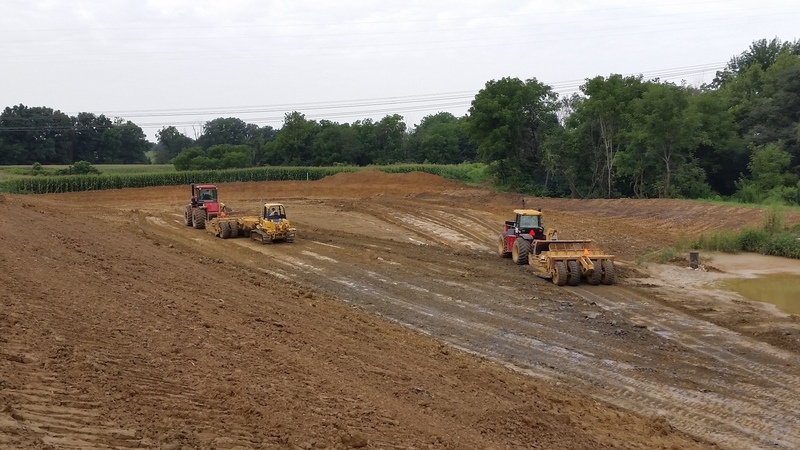 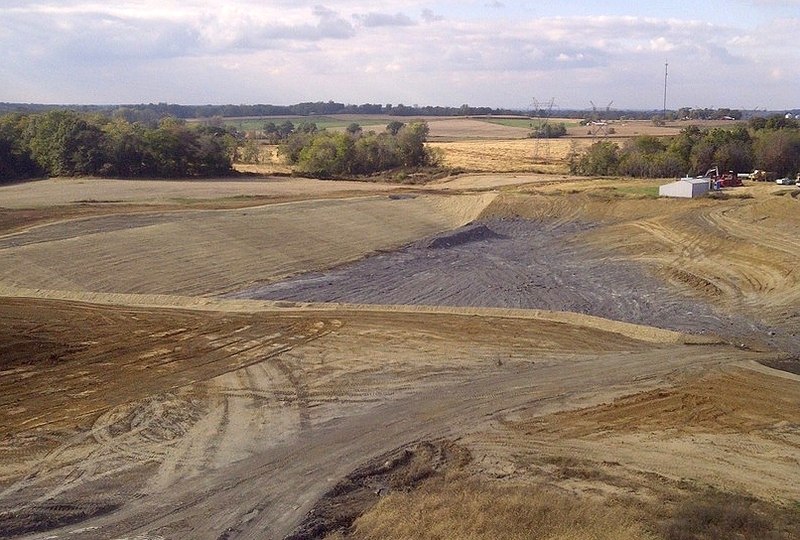 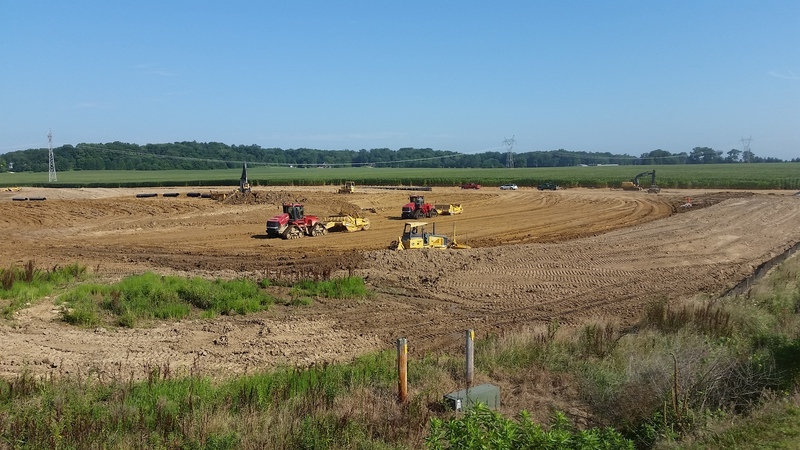 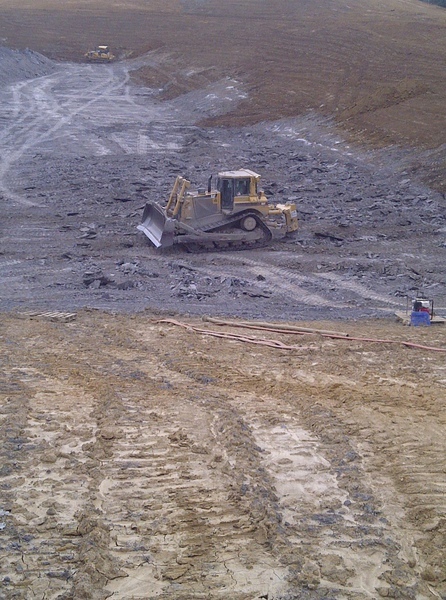 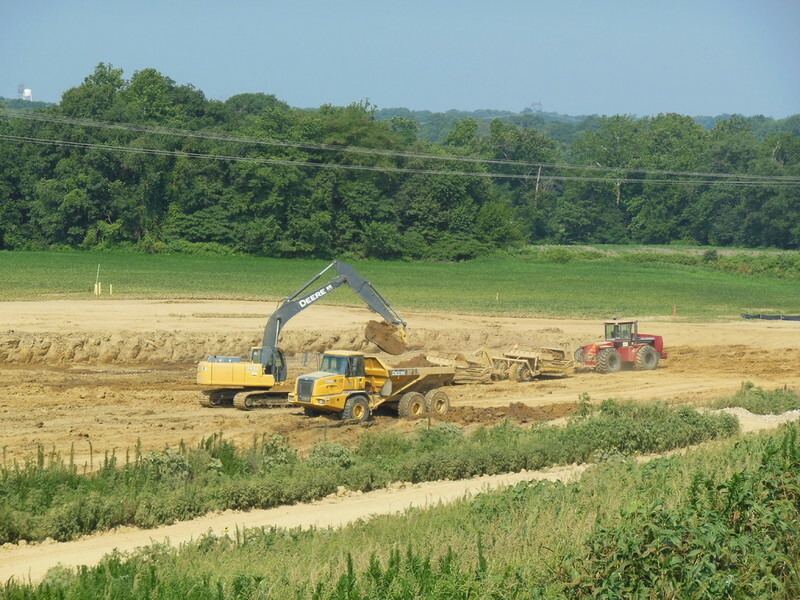 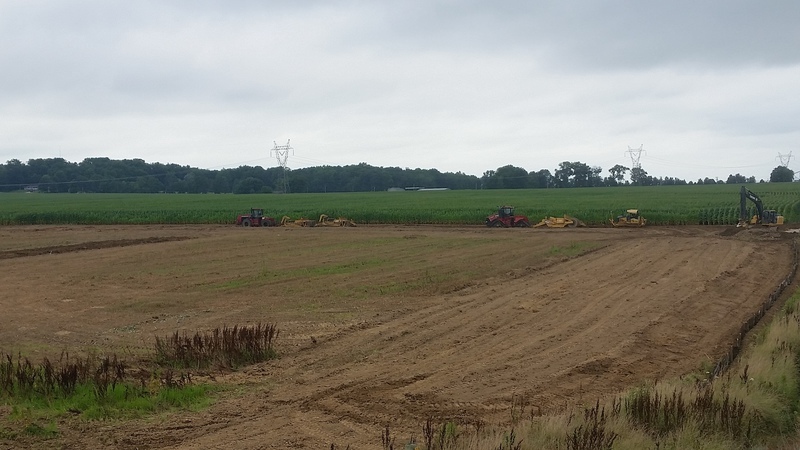 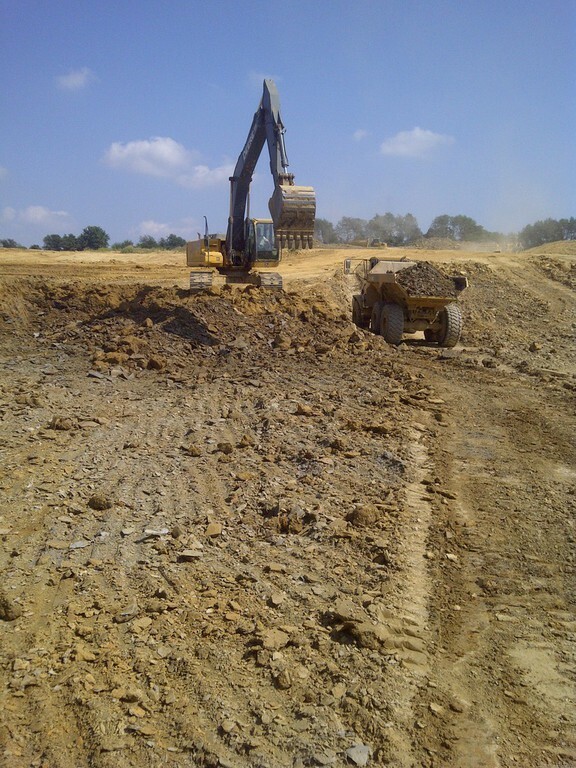 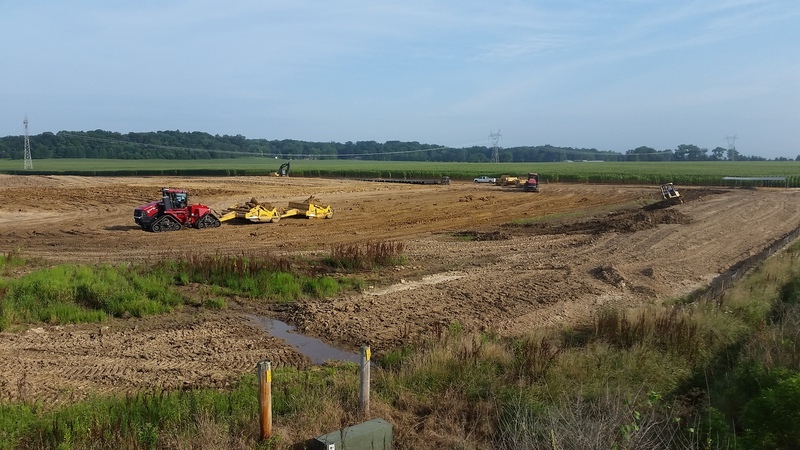 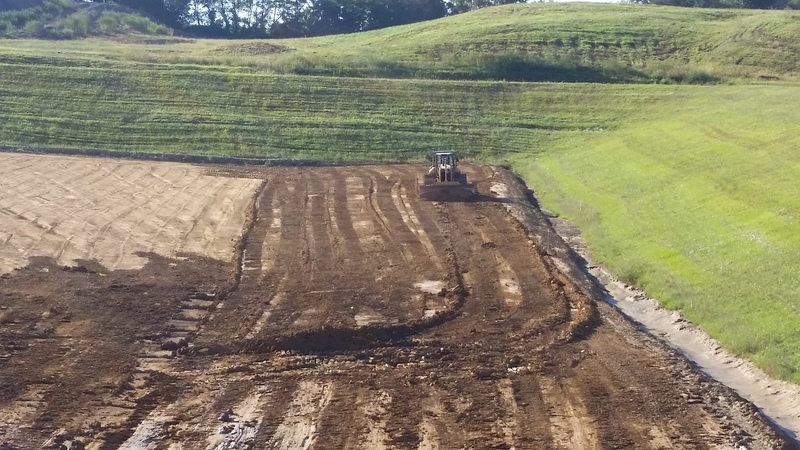 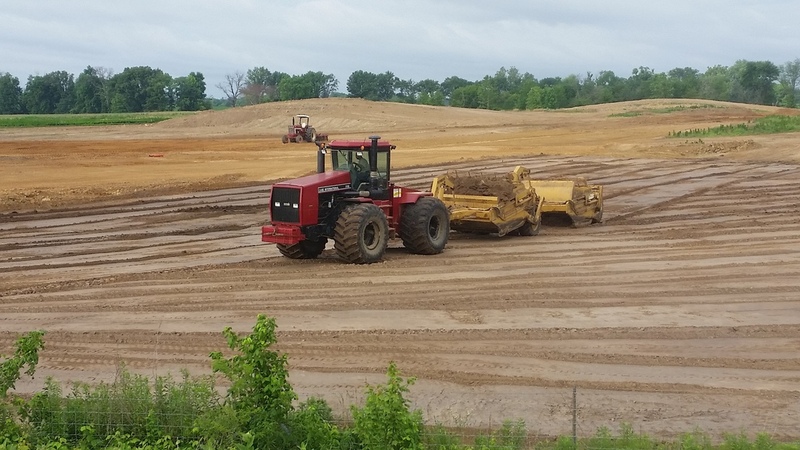 Don Gress Const., Inc. began construction of a new cell for Scepter, Inc. private landfill in early July of 2013. 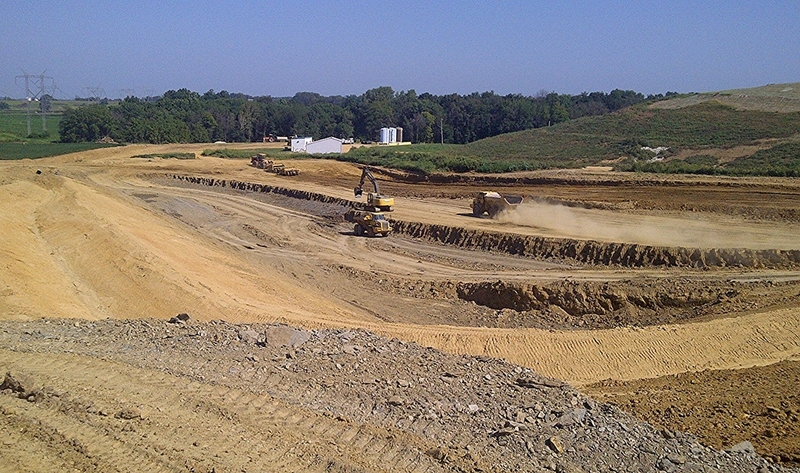 The first and largest phase of this project was the mass excavation which totalled nearly 200,000 cubic yards. 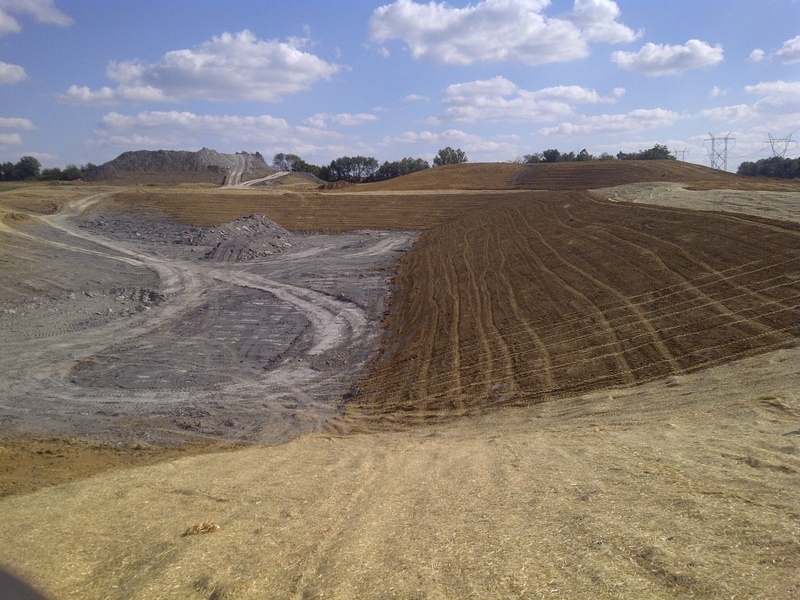 With cuts of 30 feet in places, our crews encounted varieties of soil types from extremely soft clays to 10' of hard shale. 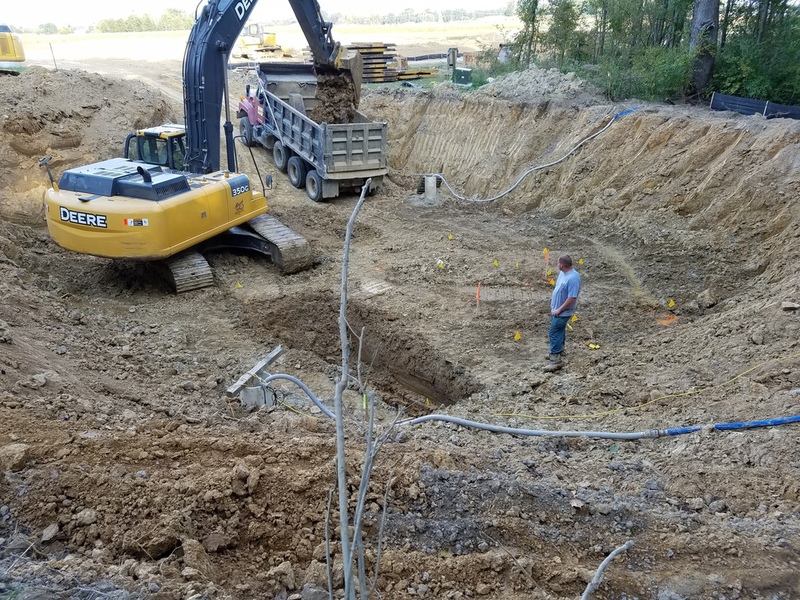 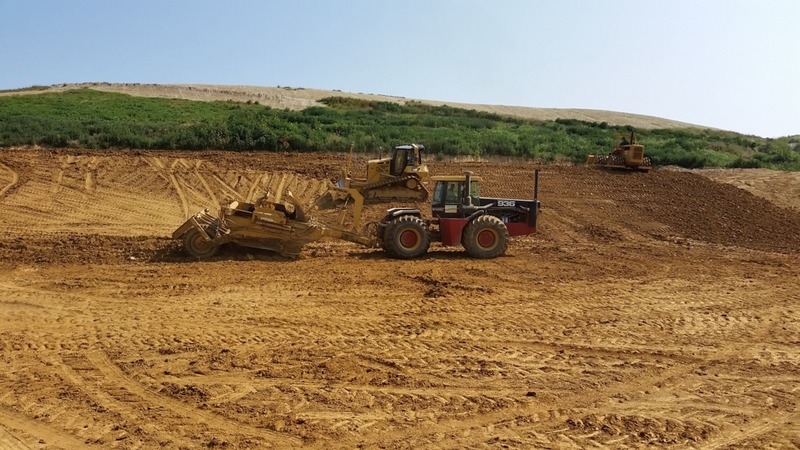 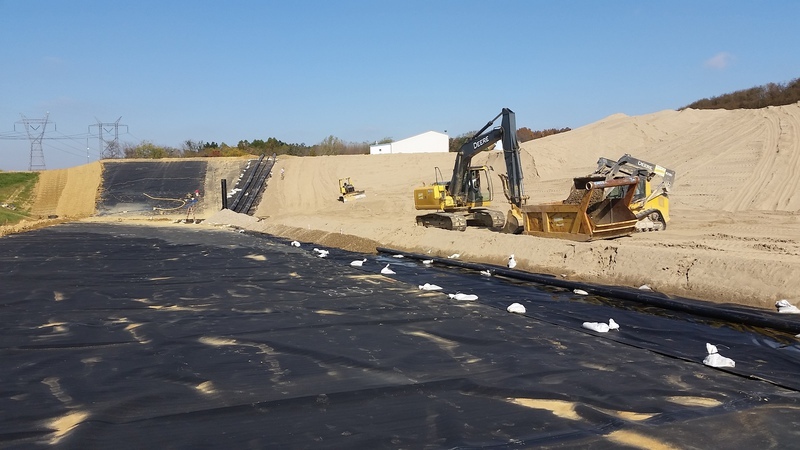 In addition to the mass excavation the project includes: 3 feet of compacted clay non-pervious liner, an HDPE liner, 18" sand drainage layer, leachate piping and collection system, perimeter ditch, and an enlarged sediment basin. 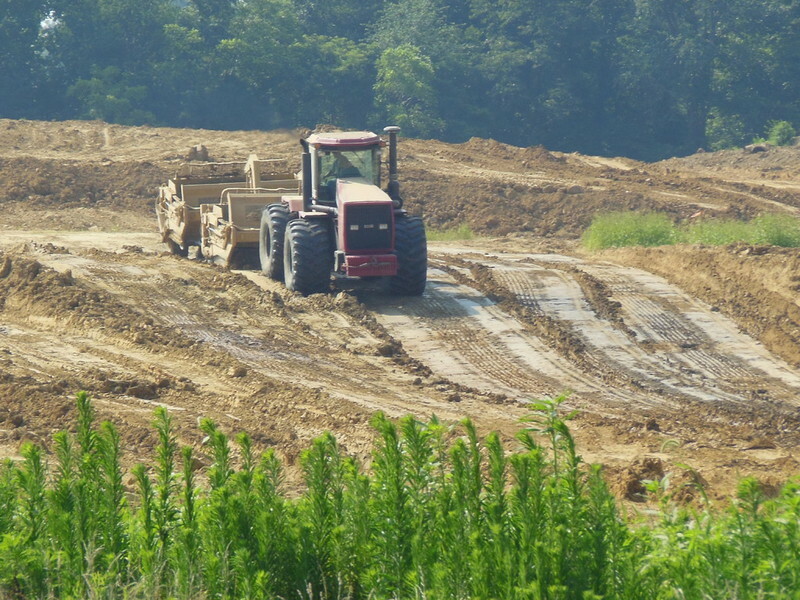 This project transformed raw agricultural land into commercial lots ready for development. 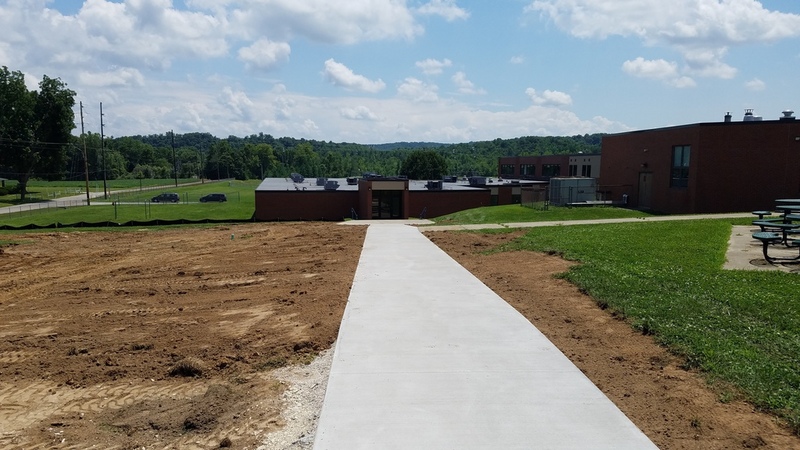 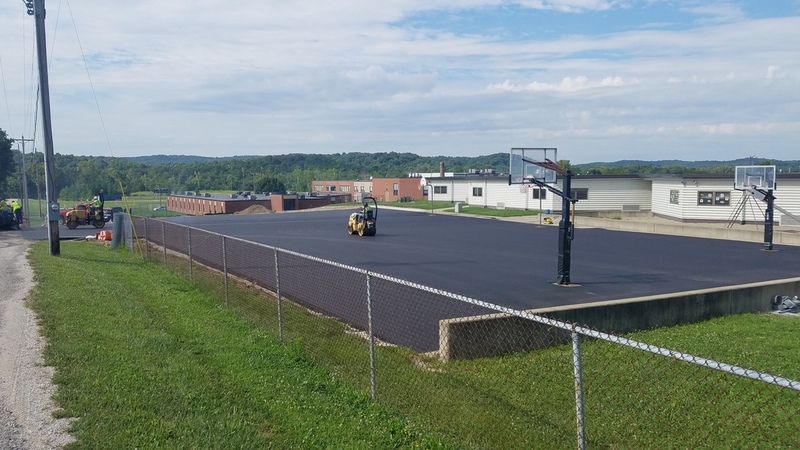 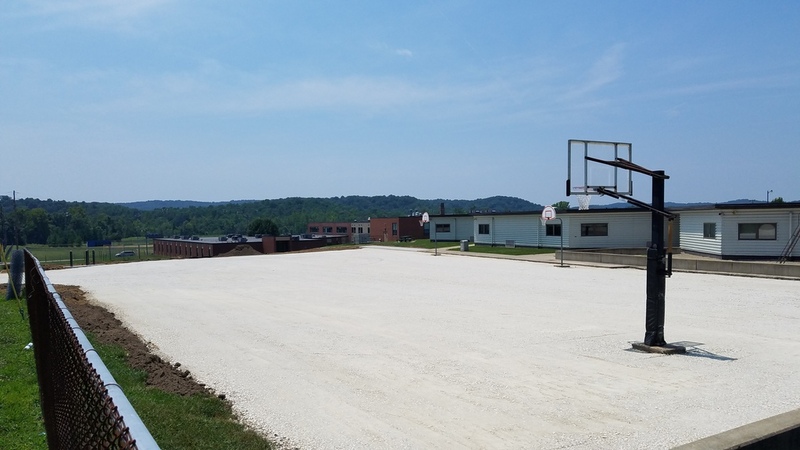 The work included general grading, road building, sidewalks, storm drainage, sanitary sewer, and water.